Happy Wednesday! Can you believe this week is halfway over already? I have a number of birthday cards to send off this month so I made some at a crop I went to last weekend. The bicycle piece on here is actually a gift tag. I embellished the wheels with enamel dots to add some shine. 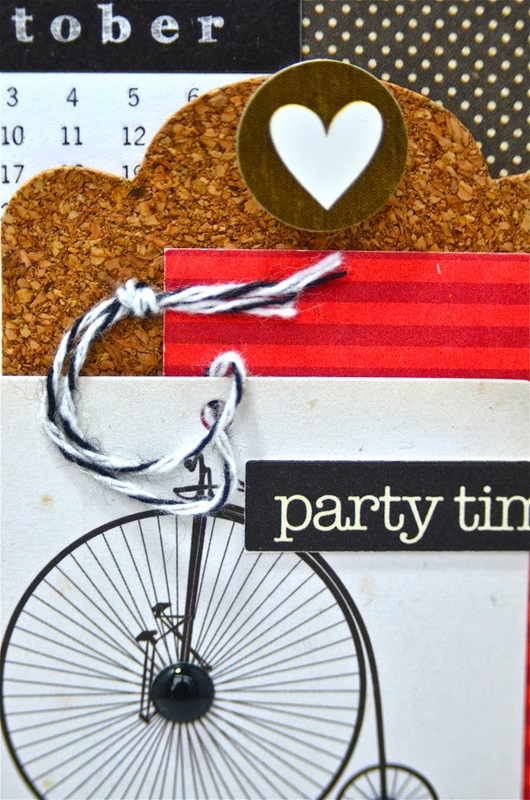 The cork piece works as a nice backdrop for the tag and adds some texture too. I'll be back tomorrow with another card share — a teacher thank you. See you then! so very cute! love the cork! Cute! Love how you incorporated the bicycle tag and added the accents! So beautiful! LOVING the bike and the cork!!!! Such a cute card, love all of the elements you used! ooooo Love the colors and cork. Great card! So cute, love that little bike. great card. Nice touch to add a calendar page for an October bday. Very cute card and love how you re-used the tag! Super duper cute, as always! just my style!!! Love it!! Love this Lisa!! 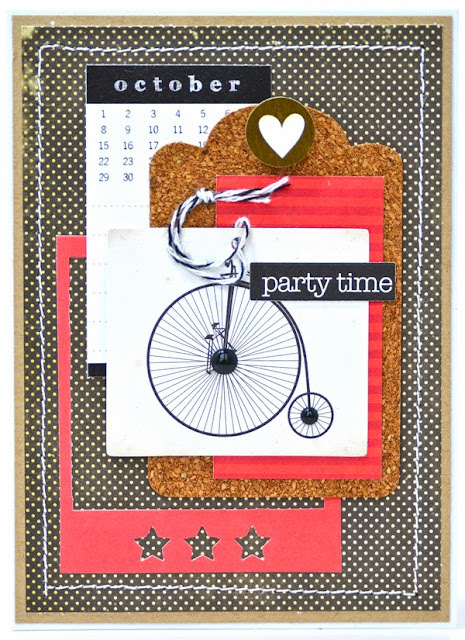 Great layering with the Polaroid frame, bicycle tag and cork tag!